Cottage Inn Pizza is always excited for Super Bowl Sunday. Over 12 million pizzas are sold every year with the average purchase value being almost $27 on the day of the big game. With all this being true Super Bowl Sunday is the second biggest pizza day of the year following Halloween. More people ask for wings over pizza. While many consumers choose pizza as their game day favorite, more people actually prefer wings over pizza. In fact, approximately 300% more wings are sold on Super Bowl Sunday than any other day. Although Cottage Inn Pizza is known for gourmet pizzas, we have some of the best wings around. So how do you decide between the two top sellers for Super Bowl Sunday? Choose Cottage Inn Pizza and get the best of both worlds. We offer over 30 gourmet pizzas, 3 different kinds of wings and 9 sauce options. Our wings like our pizzas have been tested and approved by our research and development team. At Cottage Inn Pizza we care about our product and go through lengthy processes to give the consumer exactly what they are looking for when consuming our product. 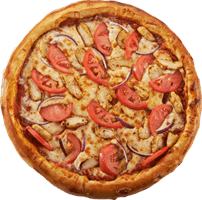 So, when ordering our pizza, wings or anything else you will be receiving the finest quality product Cottage Inn Pizza can find. There should never be an argument over food during the game. Cottage Inn Pizza will accommodate everyone! We offer many deals and specials leading up to the game. Keep your eye out for the right deal that will satisfy your hunger. For more information on our menu please visit our website at cottageinn.com/menu.